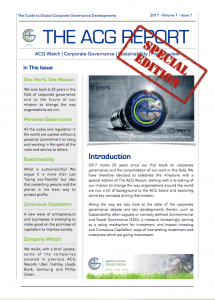 The new ACG Report will be available exclusively to subscribers when we relaunch. It will be available with two options: a CG Review subscription and a review + research database sub. The starter subscription comes with premium, in-depth articles and other content not available in the free area. We look in depth at corporate governance developments and failures, analysing what went wrong and how to learn the lessons and avoid the pitfalls, thus enabling you to be better prepared to spot the danger signs and take action. Of course, having good corporate governance systems in place makes this easier and performance better. Our website is full of useful content to help you do that. Free members will continue to benefit from précis of much of this content, but subscribers will get the full analysis and access to us to answer questions. Perhaps the most valuable of our resources, a regularly updated research database of organisations and individuals whose governance has been called into question, some of which date back more than 25 years and covering all corners of the globe. It will be categorised and easily referenced with links to all the original analysis we have produced, complete with a timeline of major events. 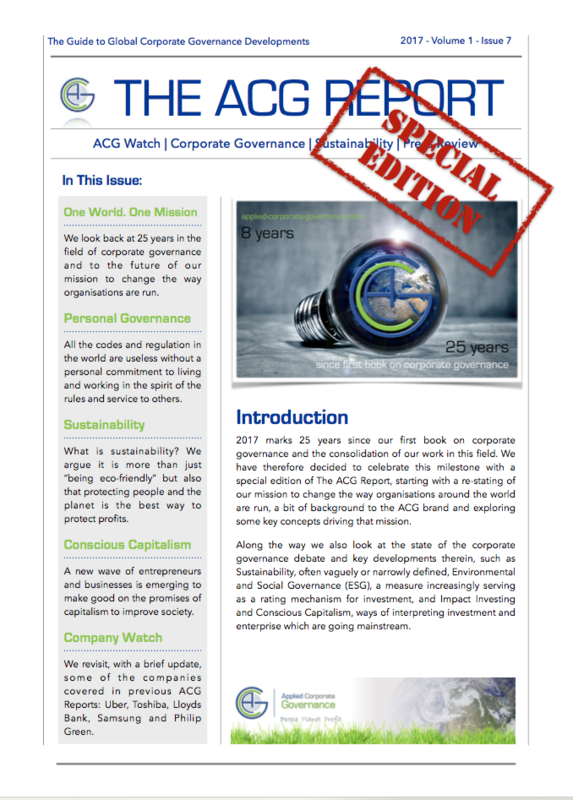 To express an interest in a subscription to ACG Watch (which will include the review subscription above) please contact us mentioning ACG Watch in your message. 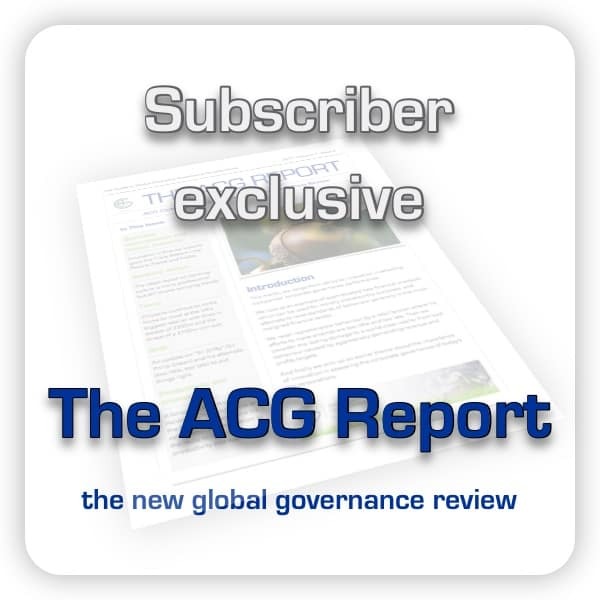 Until the launch, by creating a free account you can access a limited archive of back issues of last year’s trial ACG Report plus, of course, almost 10 years of articles and case studies, conveniently categorised and tagged. We will also be offering a FREE 30 day trial of Gold Membership to allow you to sample the report to see if it’s for you. Please contact us to be informed when the new report is launched.